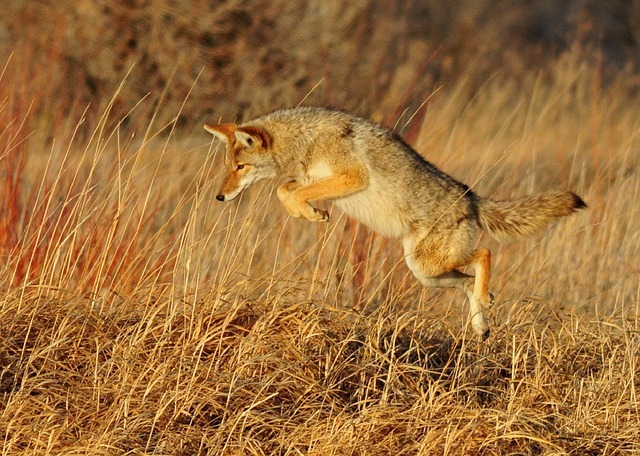 SALINAS, Calif. (CN) – Environmentalists won a court victory in California’s Central Coast this week, after a state court ruled Monterey County officials should have conducted an environmental review of the impact of killing hundreds of coyotes and other wildlife that prey on farm animals. Monterey County Superior Court Judge Lydia Villareal ruled the county failed in its environmental obligations when it contracted with the U.S. Department of Agriculture’s Wildlife Services for the killing of hundreds if not thousands of wild animals – mostly coyotes but also mountain lions and bobcats. “The county abused its discretion by determining that CEQA review procedures did apply, and the county violated CEQA by asserting a ministerial exemption in the 2016 [notice of exemption],” Villareal wrote in her 20-page ruling issued on Wednesday. A ministerial exemption under the California Environmental Quality Act allows a county or other government entity to skip environmental reviews under certain conditions. Villareal said the county inappropriately applied this exemption and should have conducted an analysis focused on the ecological impacts of killing that many predators. The Animal Legal Defense Fund sued in June 2016 claiming the county’s plans to cull animals on behalf of agricultural operations without conducting an environmental impact report was illegal. “We are very pleased the court ruled in our favor and did not allow the county to use these underhanded procedural tactics,” said Sarah Hanneken, a legal fellow with the Animal League Defense Fund. Monterey County said it was not bound by CEQA because it had been conducting operations of this sort for several years and there was no change to the baseline conditions that would require new analysis. The county routinely contracts with the Department of Agriculture, with two full-time agents who respond to a variety of calls throughout the county situated on the Central Coast. While the city of Monterey is what most people conjure when they think of Monterey County, with its picturesque cliffs overlooking rocky coastal shores drenched with fog, the county is one of the major agricultural breadbaskets of California and the nation. The Salinas Valley and the artichoke patches outside of Castroville both lie within Monterey County. Coyotes in particular can act as a nuisance to farming, particularly livestock operations involving chickens, turkeys or other small birds. But wildlife and environmental advocates note there is an ecological toll to removal of predators, from impacts to the food web, to the population explosion of vermin and pests such predators tend to control. In the fiscal year 2014-15, the Wildlife Services agents assigned to Monterey County made 820 field visits prompted by phone calls and other submitted complaints, according to the Monterey County Weekly. Coyotes were killed during 102 of those visits, representing a cull rate of approximately 12 percent. The county agricultural commissioner had planned to expand the program with a more proactive approach to culling coyotes and other wildlife known to damage agricultural operations, taking out a contract for the killing of 3,500 animals. The Animal Legal Defense Fund and other environmental organizations sued to stop the implementation of the program, saying the county needed to gauge the environmental impacts of increased kills. On Wednesday, the judge agreed the county’s rationale behind its exemption from CEQA was faulty. She also said the statute of limitations defense failed because the lawsuit was filed within 180 days of the approval of the contract, and ordered the county to perform the environmental analysis before implementing the wildlife cull program.